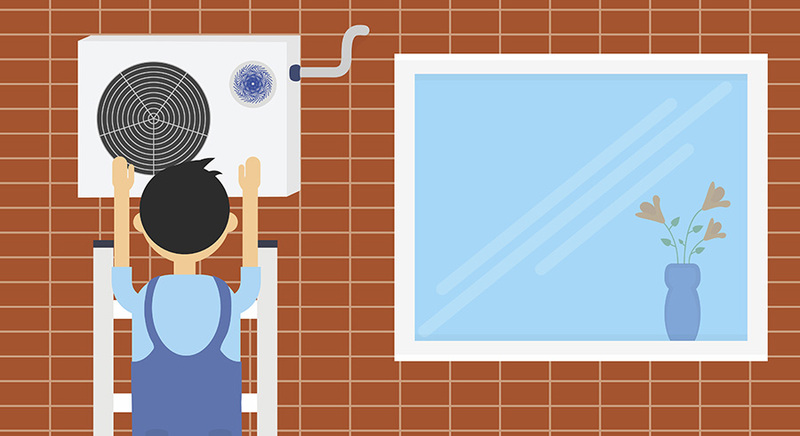 Home › Air conditioning › Central air conditioner or heat pump? Central air conditioner or heat pump? You would like to cool your home but are hesitating between these two systems. Start by evaluating your heating needs! A central air conditioner will only cool your home while a heat pump will air condition your home in summer and be used effectively to meet some of your heating needs. Thus, if you plan to replace or convert your current heating system, it would be profitable to consider buying a heat pump. Before you reach a decision, take the time to evaluate and compare the advantages, savings and costs of these two options. We would like to remind you that a high efficiency appliance that is ENERGY STAR® certified and features the output capacity that is suitable for you will help you save energy.